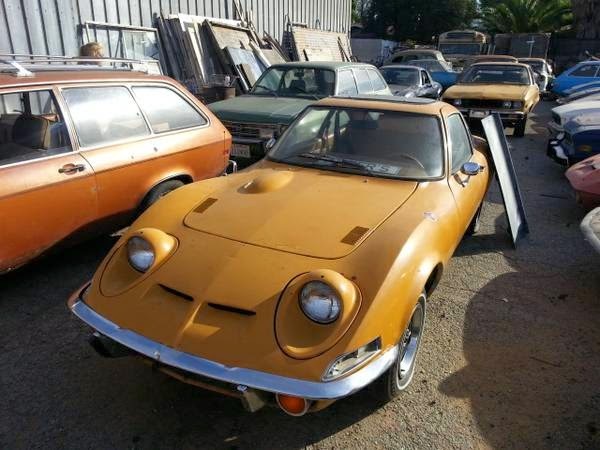 This a two-seat sports car from German offered by Opel, as the picture is first generation of the Opel GT was released in 1969 needs a little body work condition is good. 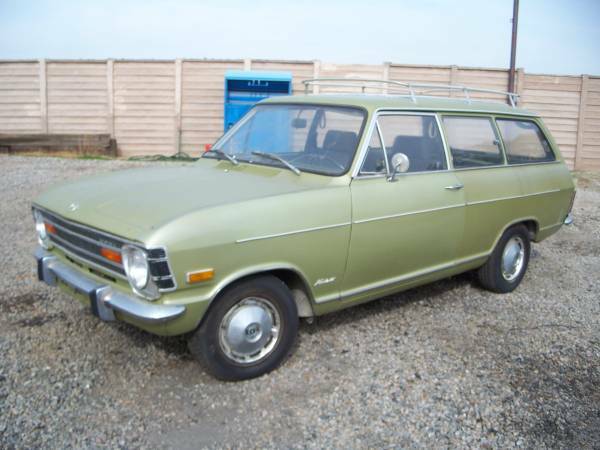 It relied partly on components from the contemporary Opel Kadett B and had a body made by French contractor Brissonneau & Lotz. Its styling has been likened to the 1968 Chevrolet Corvette. The German sport car produced by Opel, this a GT car was released in 1970 comes with sunroof, 4 cylinder engine with automatic transmission on good condition it would be great car with a light restoration work project. 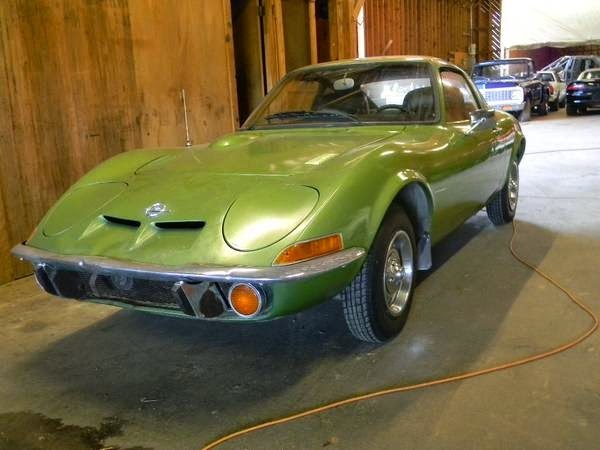 This 1970 Opel GT is on offer for sale in Craigslist as a project, looks complete, decent interior, decent body frame and it even runs, too. The seller is looking for anyone who wants to reveal the greatness of this car and this a true hidden potential is very worthy to be running on the roads on the weekends. Just TLC needed to make it in shine and fun. 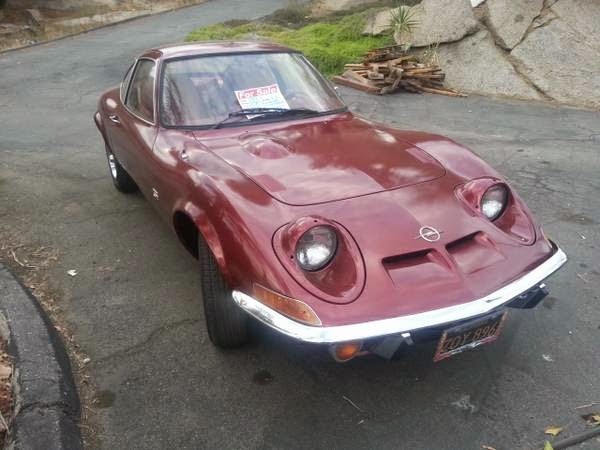 Here's we found at craigslist, the Germany sport car was released in 1971 by Opel, it's a GT model comes with 50,955 original miles has powered by 4 cylinder engine with 4 speed manual transmission in fine condition, only needs TLC. Owner asking $6,500 OBO. A nice classic GT ready to go. This early first generation GT car produced by the German automaker Opel was released in 1969 is a two-seat sports car. It relies partly on components from the contemporary Opel Kadett B and the body designed by French contractor Brissonneau & Lotz, styling similar to the Corvette 1968 model year. 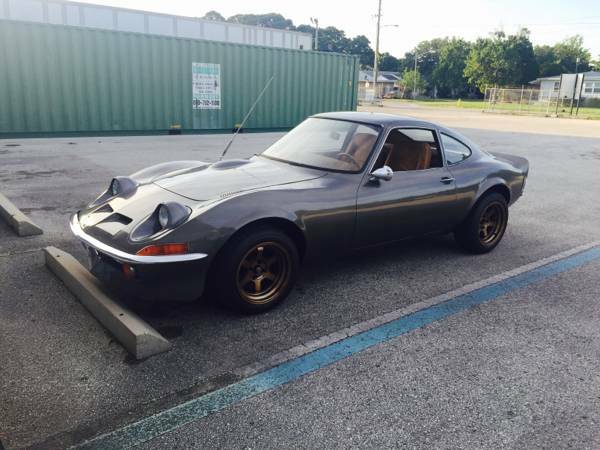 It's a rare and and hard to find car today, very original Opel GT looking for new owner.